The first legal stipulation with respect to a flag for the Canary Islands is the Royal Order of 30 July 1845, establishing the maritime registry flag for all the ports of the then single province, with its capital in Santa Cruz de Tenerife. 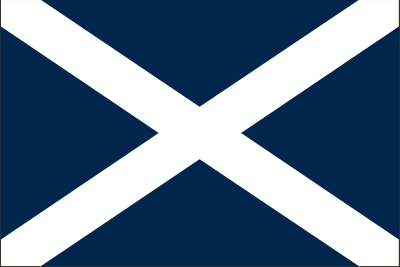 It was as a white saltire (Saint Andrew's cross) on blue background, a flag that eventually would remain as the symbol of the island of Tenerife. 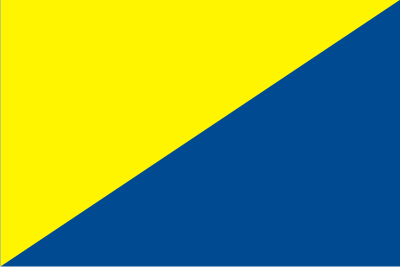 In 1888 the registry flag of the Puerto de La Isleta or Puerto de la Luz, in Las Palmas de Gran Canaria, is created as diagonally divided of yellow and blue; likewise, this flag would end up by representing the island of Gran Canaria. Everything seems to indicate that the election of these colours and designs for the maritime registry flags, both the Canarian ones and those of the rest of the Spanish ports, was merely coincidental and with no other meaning than to tell each apart, though in the case of Las Palmas it has been said that the colour yellow is ‘canary yellow’ (by the homonymous bird) and blue is for the sea.